Chavez Inc. is an international women’s footwear & wearable art couture fashion brand based in Toronto, Canada. 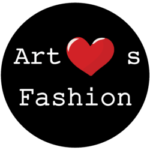 Founded by International Fashion Designer – Antonio Chavez, their goal is to redefine the Fashion Industry in the areas of innovation and design ingenuity. The Chavez Inc. Couture Collection is composed of more than 120 individual unique pieces of Wearable Art; the perfect blend of wearable practically and avant-garde design, with each piece taking up to 6 weeks and 4 artisans to complete — from concept to reality. Their pieces are inspired by ancient civilizations, such as Egypt and Rome, and envisioned into the modern fashion world. What if Ancient Egypt and Ancient Rome never died? How would their fashion look like in the eyes of today’s Fashion Industry? Chavez Wearable Art Couture is a reflection of that powerful and thought provoking idea. Chavez always aims to deliver a spectacle of a show with high-energy entertainment and awe-inspiring designs; breaking & bending the conventional rules of the Fashion Industry and the Runway.